Sizing Machine plays a very important role at Kraft Paper cartor, there are many advantage that manual sizing does not have on the kraft paper carton making. 1.Provincial glue, environmental protection, Sizing Machine will not cause waste. 2. Anti-winding device prevents hand and work objects from being caught in the glue storage tank and the roller. 3. Sizing thickness, width and speed can be adjusted according to customer requirements. 4. Evenly sizing, no dripping, no leakage, and quick and tidy glue. 5. Built-in time control device to accurately and automatically break the glue. 6. The Sizing machine can greatly improve the work efficiency, and the airtight performance is good. The overall effect of the product is beautiful and more graded. 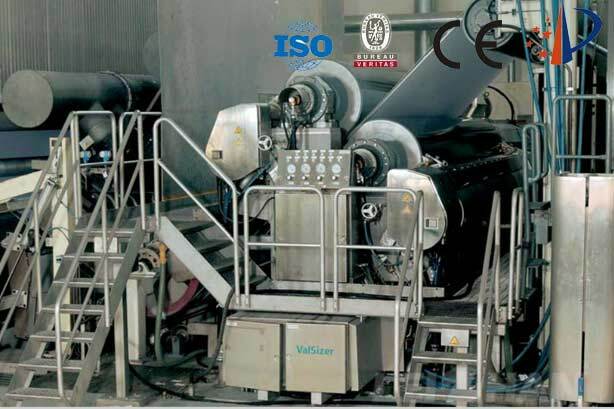 Welcome to consult with us about Sizing Machine, the reasonable price and good quality of Sizing Machine will satisfy every custom of Kraft Paper Mill.